Hard rock band FOZZY, led by Chris Jericho, will bring its “Judas Rising Tour” to the House of Blues Orlando on Thursday, September 27. Jericho may be more familiar as the legendary WWE wrestler, but this is not just a side job for him. 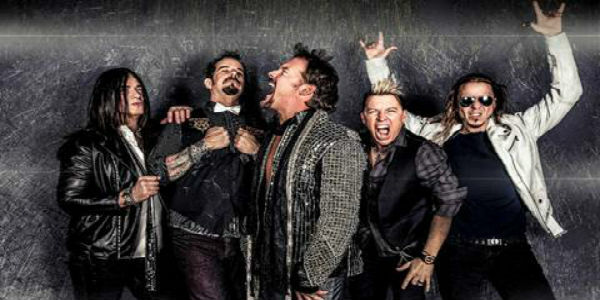 In their more than 20-year career, FOZZY — comprised of Chris Jericho (vocals), Rich Ward (guitars, vocals), Frank Fontsere (drums), Billy Grey (guitars), Paul DiLeo (bass) — has always been about hard work, dedication and delivering great rock ‘n’ roll to their devoted fans worldwide; reminding them that music is all about invoking dirty, sweaty jubilation and doing it loudly. FOZZY recently released the latest single off the album, “Burn Me Out.” The track was the fifth most added song at active rock radio on the first day of release with the video (a live performance clip that shows the band rocking a jam-packed house party) garnering more than 30K views on its first day. For more information, visit FOZZYRock.com. You can also check out our 2014 FOZZY concert review. Tickets for the show are available at HouseofBlues.com and at the venue box office at Disney Springs. Opening for FOZZY are Adelitas Way, Stone Broken, and The Stir. Disclaimer: This post uses Amazon affiliate links that adds nothing to the cost if you choose to place an order.